Opiates are drugs, both legal and illegal, that act as sedatives in the body. They induce feelings of relaxation, peacefulness and euphoria. The most well known include heroin, which is an illegal opiate, morphine, papaverine, codeine and thebaine. Morphine is a popular opiate. It is prescribed medically or administered for the treatment of pain. However, it is also taken recreationally and illegally. When a person uses morphine without proper medical guidance or take too much, they are at risk of slipping into a coma or experiencing respiratory depression and cardiac problems. Codeine is an opiate that is very similar to morphine. It is mostly prescribed for cough suppression and mild pain. Codeine is one of the most utilized opiates. Thebaine is used in drugs such as hydrocodone, oxycodone and oxymorphone. Hydrocodone and oxycodone are the amongst the most abused prescription drugs in the country. Papaverine is used for a number of ailments including heart spasms and ED (erectile dysfunction). What Leads To An Opiate Addiction? Many opiates such as heroin are so addicting because they cause users to feel euphoric. This intensely pleasurable experience makes people want to do more. The more often a person takes it, the greater risk exists for them to develop an addiction to it. A physical addiction may develop as well. Use of this drug even after only a short amount of time can result in withdrawal symptoms if a person suddenly stops using it. 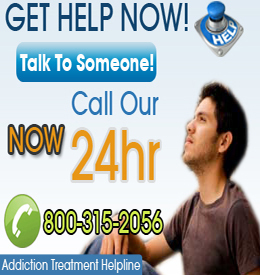 Individuals with an addiction to any type of opiate should immediately get help. This is not an addiction that is best handled by ones self. It can be very dangerous to suddenly stop taking an opiate after a person has developed a dependency to them. Methadone and Suboxone are sometimes administered to help individuals quit gradually and also to lessen the severity of withdrawal symptoms. An untreated addiction to an opiate drug can result in death. Persons addicted to opiates such as heroin are at an increased risk of being infected with diseases such as Hepatitis and HIV due to the high prevalence of sharing needles. An addiction to opiates can quickly ruin a person’s life.